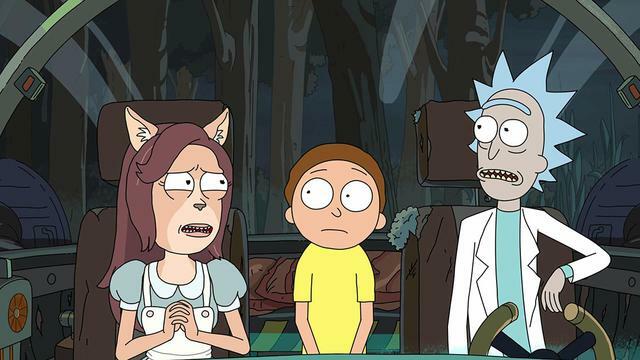 From Mr. Meeseeks to Pickle Rick, these 10 episodes have it all. If you have never seen an episode of Rick and Morty, you are truly missing out on one of the greatest animated series of all time. Rick and Morty came through and crushed the animation game. Animated shows that have been a staple in the industry, such as The Simpsons, Family Guy, and South Park are brilliant in their own way, but Rick and Morty found a new narrative for creating entertaining storytelling. 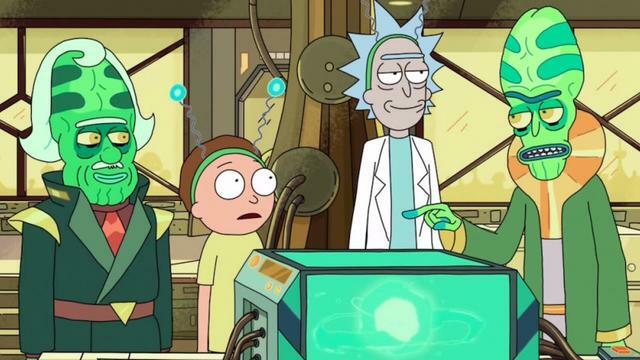 In the cartoon show, drunken scientist Rick reveals to his family that there are billions of universes. Those infinite parallel universes feature a copy of everybody living in their original universe. For example, if we were to envision our world in the narrative of Rick and Morty, there are billions of Drakes sprawled out across multiple universes. Each Drake is a little different from the next, maybe one has red hair, or another decided to stick to acting. With that in mind, the script makes murdering characters, introducing intricate plots twists, and jumping through time and space, a much more enriched and entertaining experience. Did show creators Justin Roiland and Dan Harmon know they would strike gold with such a innovative idea for an adult cartoon? Probably not. None the less, Rick and Morty has become a staple for millennials as the next best cartoon series. The "Adult Swim" show features dozens upon dozens of hilarious characters and amusing quotables. “Show me what you got,” has taken on a whole new meaning in modern culture based on a hilarious interstellar American Idol-esque episode. Last week, at an A$AP Ferg show, I met a young woman with Pickle Rick tattooed on her upper arm. Logic appeared on an episode of the show to drop some multiverse bars on the audience. Run the Jewels even featured Rick and Morty in their “Oh Mama” music video. Obviously, the show is integrating with the culture. Although the fourth season of Rick and Morty may be in danger, there’s enough hilarious material to keep you repeatedly binge-watching the episodes that are readily available. Running back through every episode of the groundbreaking animated series, here is a list of our top ten favorite episodes of Rick and Morty. 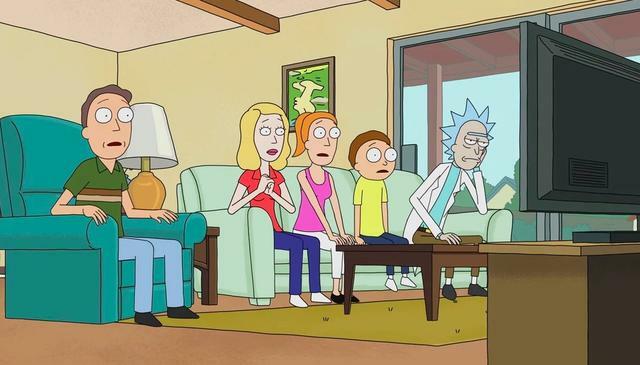 Bored with what’s on television, Rick decides to install interdimensional cable, which allows the family to watch shows across different universes. Everyone wears special goggles that show them their alternate selves. 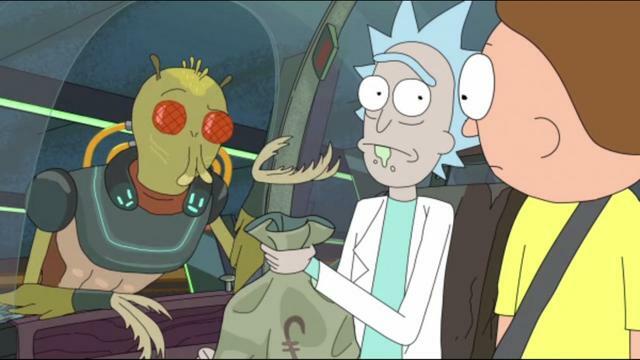 In a parody of The Purge, Rick and Morty land on a planet that allows its citizens to commit crimes for one night without repercussion. This murder filled episode finds Morty in a violent place, and it’s satisfying to watching him release his pent-up aggression in a slaughterous frenzy. 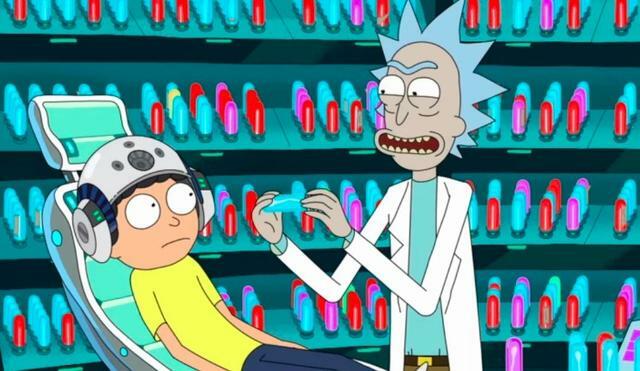 After Morty requests that Rick remove a troubling memory from his head, the drunken scientist reveals that Morty has a room full of memories he has asked to be removed over the years. The two take an adventure through Morty's most horrific memories before they end up erasing each other's memories in an argument. Luckily Summer knows the contingency plan. This one is a fan classic. Rick turns himself into a pickle to avoid family therapy, but is trapped as the vegetable after Beth takes a syringe that was positioned to turn Rick back once the family left home. 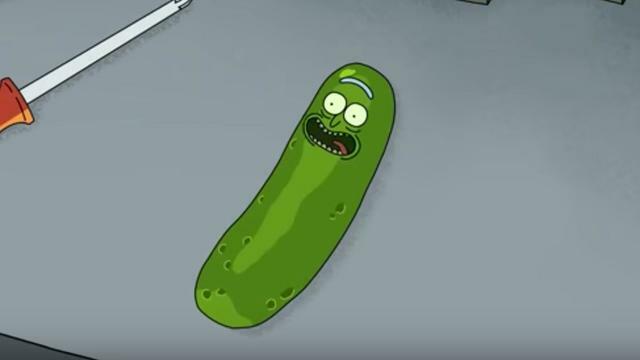 Pickle Rick escapes into the sewers where he crafts makeshift limbs from decapitated roaches and rats, and ensues on a journey to turn himself back into a human. Rick's car breaks down, prompting him and Morty to go inside its battery. The two interact with a miniature universe that Rick has created inside the battery to make it run. Ultimately, this episode deals with the idea of free will, and a higher power. 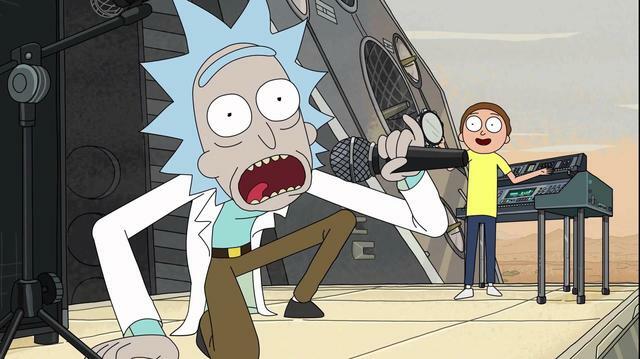 Rick, Morty, and Ice-T team together to compete in an intergalactic talent show. God-like heads appear from space, and force several planets into a musical competition where the losing planet gets destroyed. Ice-T ends up being an alien warrior, who saves the day before returning to his home planet. Morty tries to quit his adventures with Rick, but he’s coerced into another journey with a promise that he gets to choose where the duo goes this time. In their absence, Rick leaves the family with Mr. Meeseeks, who are tasked with the assignment of fulfilling the family’s needs. 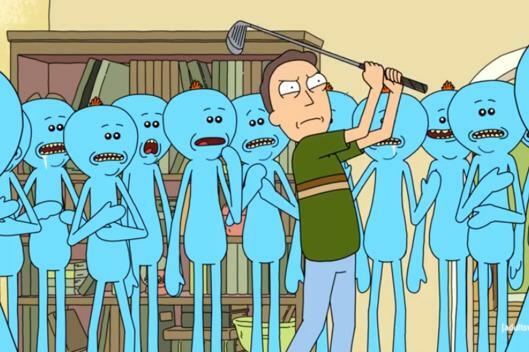 Jerry’s lack of skill forces his Mr. Meeseek to conjure more Meeseeks, who ultimately decide that killing Jerry will solve all thehir problems. The fact that there is a universal daycare for Jerrys is amazing. Rick sells an antimatter gun to an alien assassin to afford tickets for an arcade. Morty feels bad, kills the assassin, and saves his target, a gas cloud named Fart. Morty learns that he made the wrong decision though, as Fart turns out to be an intergalactic terrorist who wishes to erase life from the galaxy. In possibly the most insane episode of the series, the adventures of Rick and Morty are pushed to the side to explore The Citadel. 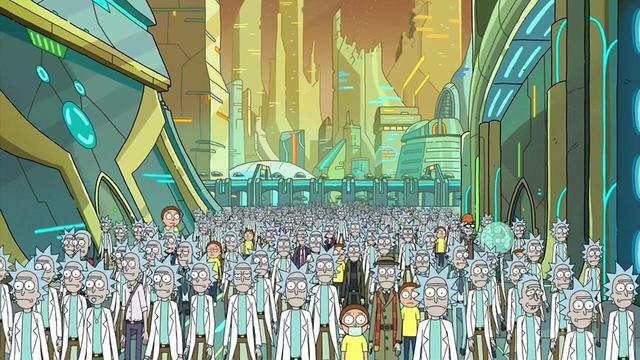 The Citadel is a place where millions of Rick and Mortys coexist. Evil Morty schemes his way to a presidency, while the lives of several Rick and Mortys are explored. The ideas of consumerism and capitalism are confronted, and the cliff hanger at the end that parodies Guardians Of The Galaxy Vol 2. is brilliant. 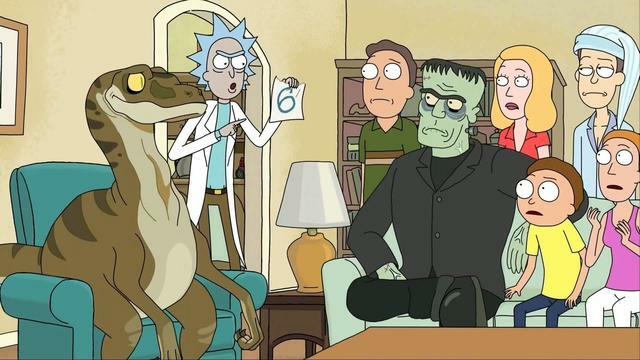 Mr. Poopybutthole joins Rick, Morty, and their family in fighting off memory creating parasites. This episode is filled with so many characters, that it’s hard to keep track. The alien parasites create good memories of themselves inside of the Smith family's brains, forcing them to work together to expel the implanted memories and kill the parasites. Somehow, Jerry is tricked into believing he is gay and Beth almost kills Mr. Poopybutthole. The calamity of this episode is Rick and Morty at its finest.